Kids who get in trouble with the law, more times than not, lack parental supervision. Without direction, adolescents often fall in with the wrong crowd. From there, anything is possible, from drug use to committing petty crimes. Such teenagers, at one point or another, get arrested by local authorities, and may have to serve time, receive probation and/or pay fines. As you can probably imagine, the process is both slow and costly. So, who is going to pay for it all? One’s family? Well, yes, a teenager's family is usually stuck having to foot the bill for the infractions. But, if we already know that many of the kids caught up in the system come from broken or dysfunctional homes—there is a good chance that such families are not at the upper end of the socioeconomic spectrum. Even a middle-class family may be severely strained by court fees associated with the son or daughter's indiscretion. Any adult who has had a run-in with the law will tell you, “it isn’t cheap!” Hiring an attorney (even public defenders carry some cost), paying fines and restitution can all add up. Even if one is sentenced to probation, there are monthly supervision and drug screening fees to be budgeted. The same is the case for juveniles. The difference is that minors have few financial resources at their young age. Which means that mom and dad need to step in to cover the costs, failing to pay such costs could harm their child. "Many families can't afford to pay even $50 a month, let alone $500 a month," said study co-author Stephanie Campos-Bui, a clinical supervising attorney with the Policy Advocacy Clinic at the UC Berkeley School of Law. "When these fees are assessed, they become a civil judgment against a family that is enforceable through wage garnishment and tax-rebate intercepts." 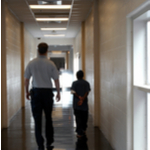 Senate Bill 190, currently before the California state Legislature, would ban the collection of fees in the juvenile-justice system across the state. A good defense could result in lower costs in the long run, please contact Katie Walsh to discuss your options. Attorney Walsh, a former prosecutor familiar with the OC adult and juvenile justice systems, can provide your son or daughter a solid defense. Please reach out for a free consultation today.